Walmart continues to diversify its brand partnership portfolio to compete with Amazon. In addition to its Lord & Taylor and Moosejaw offering, the retailer is introducing sports apparel from Fanatics to sell NFL jerseys, NBA t-shirts, and merchandise from Nike and other sports apparel brands. Fanatics holds exclusive licensing rights to produce and distribute merchandise for all major professional sports leagues under NFLShop.com, NBAStore.com, MLBShop.com, NASCARShop.com, and MLSStore.com. That means Walmart will tap into an exclusive branding opportunity to “focus on adding harder-to-find specialty items and premium products.” says Eric O’Toole, general manager of retail merchandising for Walmart’s e-commerce operations. 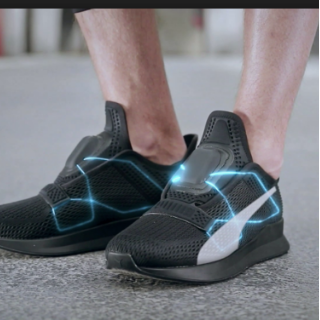 Puma is to release self-lacing trainers that will rival Nike's high-tech version. The smart shoes, dubbed Fi, are battery operated and can be charged through a wireless dock. To tighten or loosen the laces, Fi connects to a Puma app operated on the Apple iPhone or Watch, and Android. American Eagle is continuing its push to make authentic, emotional connections with its Gen Z consumer base. 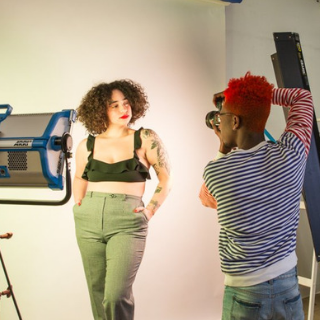 Ten Gen Z cast members have photographed, styled, and creatively directed American Eagle's new spring campaign. The cast will be depicted in their native environments vs. artificial locations or staged sets. AMAZON: CAN WE BE EXCLUSIVE? Amazon is pushing for more companies to create exclusive brands for its e-commerce platform, rather than develop those brands internally. As the online marketplace evolves into a larger advertising engine, retailers will likely lean towards the platform and comply with its newest stipulations. According to industry reports, marketers are shifting search budgets away from Google toward Amazon, since they value the ability to link their advertising closer to the point of sale. Trying to curry the favor of advertisers, Amazon has continued to build out ad products and additional tools for brand measurement. The company introduced new-to-brand metrics that aim to help marketers identify strategies for customer acquisition and growth. Calvin Klein's latest effort with How2Recycle aims to raise consumer awareness by providing detailed instructions on how to recycle its packaging. Labels will tell shoppers about each component and if the materials are widely recycled. The directions recommend a local recycling program or store drop-off station for disposal. 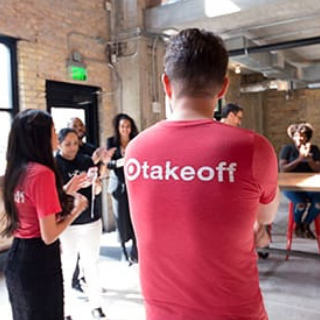 Congrats to the 10 new beauty startups to join Target Takeoff, an accelerator for refining their product pitches and scaling to mass retail. Target Takeoff developed over the last few years in an effort to incubate brands that will resonate with evolving consumer preferences. More recently, health, wellness, and beauty have become key categories in Target's "cheap chic" persona.